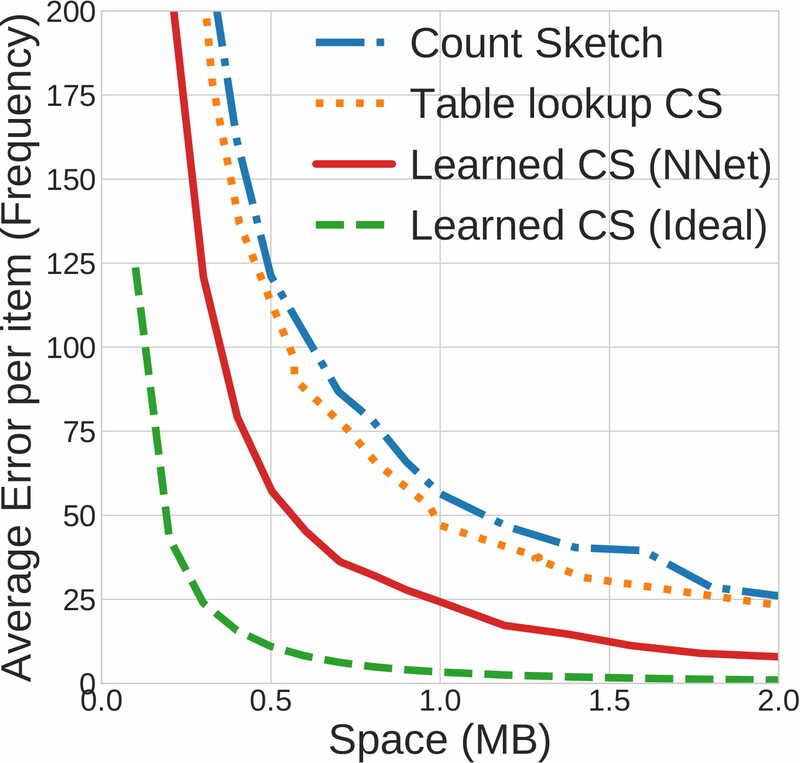 Frequency Estimation in Streaming Data? The goal of Frequency Estimation is to count the number of times an item appears in the stream. Which internet links have the most traffic? Which search phrases are trending now? What are the trending topics on the social network? However, in big data applications, the stream is too large (and may be infinite) and cannot be stored. This challenge has motivated the development of streaming algorithms. 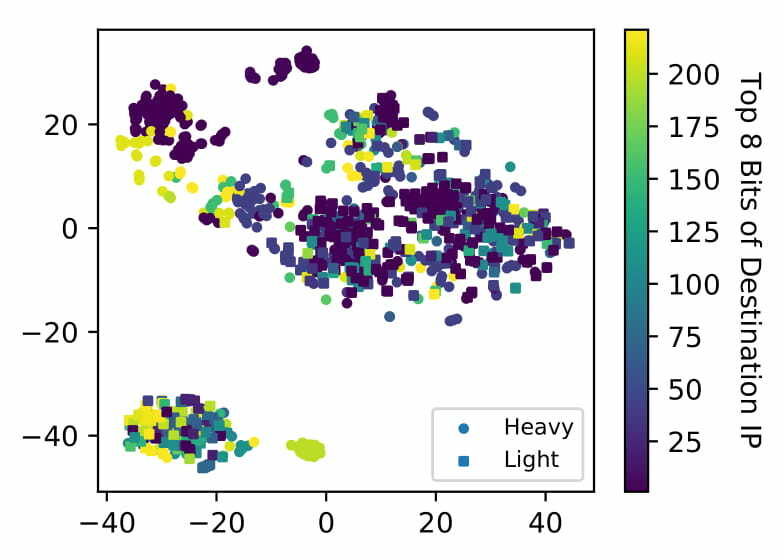 We use neural networks as our ML models to learn structures in the data automatically. 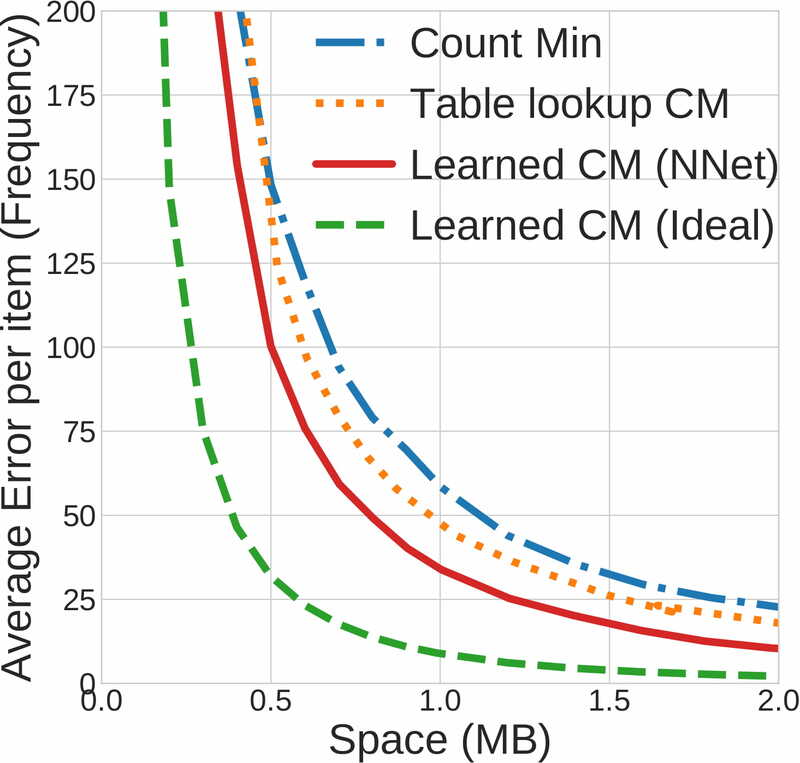 Compared to their non-learning counterparts (Count Min, Count Sketch), our algorithms (Learned CM - NNet and Learned CS - NNet) reduce estimation errors by 18% to 71%. Compared to memorizing the popular items with a lookup table, our model generalizes better to unseen items. Our scheme can potentially achieve even better results with an ideal oracle (Learned CM - Ideal). 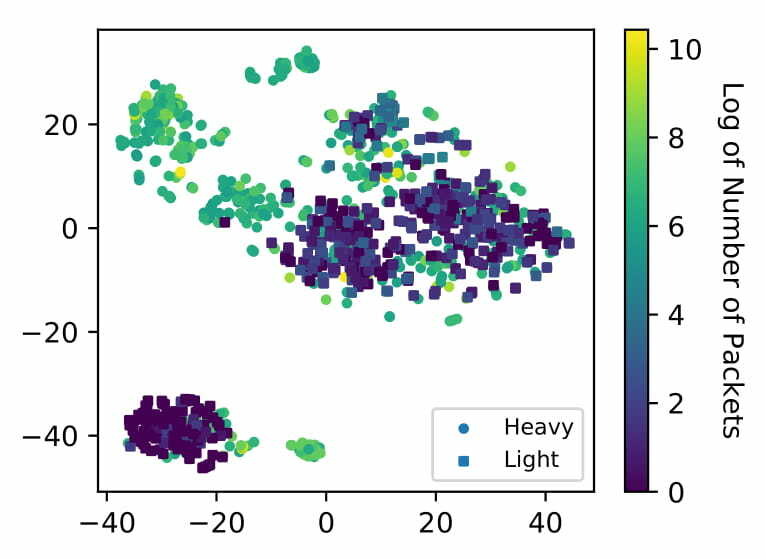 What are the structures learned by the neural networks? The model separates connections with heavy and light traffic in the embedding space (left figure). The model learns to group connections with similar destination IP prefixes closer in the embedding space (right figure). Learning this "structure" allows the model to generalize to packets unseen in the training set. Also check out the new class offered in Spring 2019 at MIT on Learning-Augmented Algorithms!